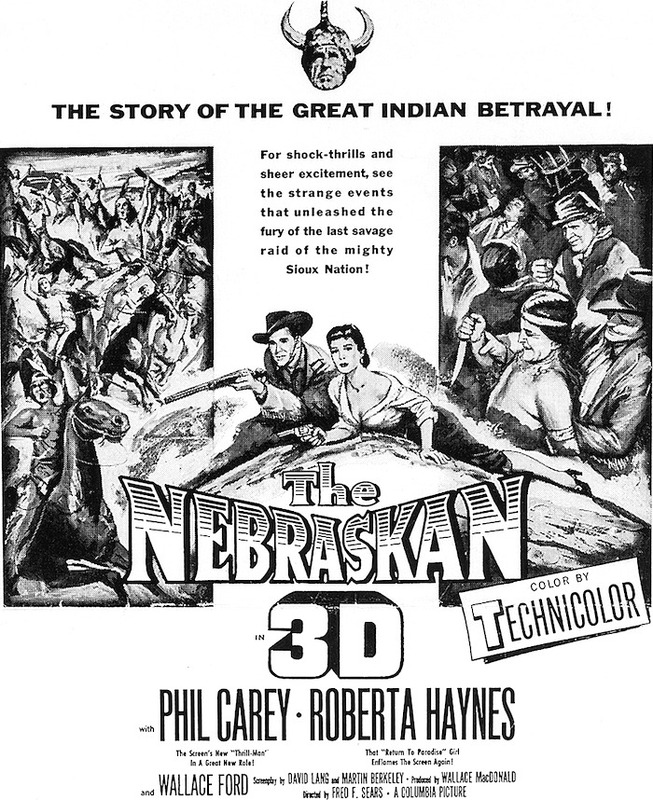 3-D | 50 Westerns From The 50s. DVD Review: Jesse James Vs. The Daltons (1953). So glad to see The Fastest Guns Of The West: The William Castle Western Collection turn up in my mailbox. Couldn’t wait to crack it open and give it a whirl. 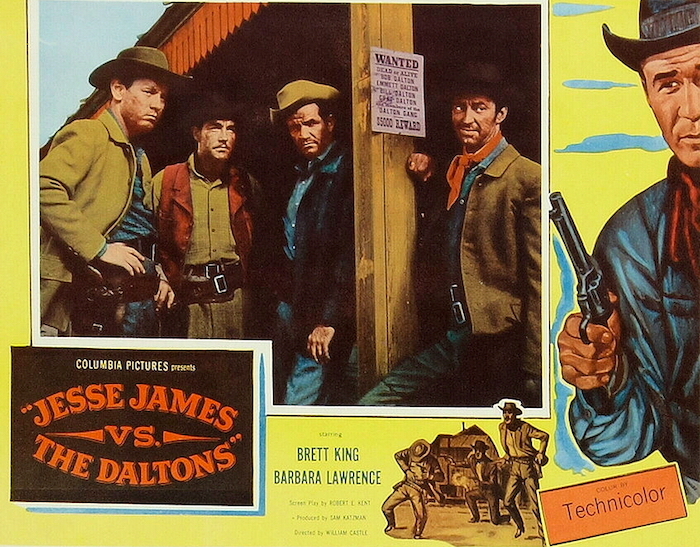 You get Klondike Kate (1943), Conquest Of Cochise (1953), Jesse James Vs. 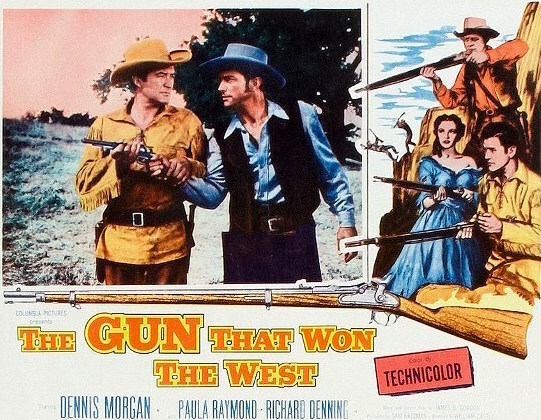 The Daltons (1953), Masterson Of Kansas (1954), Battle Of Rogue River (1954), The Gun That Won The West (1955), Duel On The Mississippi (1955) and Uranium Boom (1956). All directed by William Castle. Most produced by Sam Katzman. And all eight for less than $15. Jesse James Vs. The Daltons is about as historically accurate as Blazing Saddles (1974) is. Joe Branch (Brett King) might be the son of Jesse James. He and Kate Manning (Barbara Lawrence) — he saves her from a being lynched — hook up with the Dalton Gang to retrieve some loot and locate Jesse, alive or dead. It’s silly, fast-paced and loads of fun. The picture runs just over an hour, with Castle and DP Lester H. White throwing coffee pots, bullets and dying bad guys at the 3-D camera whenever possible. There’s plenty of ridin’, fightin’ and shootin’, though you can tell the schedule kept the action from getting the staging it needed. It’s a bit sloppy at times. This might have been Brett King’s only lead, and it was certainly his last feature. He’d do nothing but TV for the rest of his career. After a couple episodes of The Green Hornet in 1967, King and his wife moved to Harbour Island, Bahamas, and opened the Coral Sands Hotel. He became a mover and shaker in the tourism industry down there. Barbara Lawrence has a decent part here, though there seemed to have been no effort to make her even slightly resemble a woman from the late 19th century. You see that a lot in 50s Westerns. She looks good in jeans, and I guess that was more important (King just happens to have a pair that fits her in his saddlebag). Barbara’s career wasn’t a long one — she gave up movies for real estate — though she’s in some good stuff, including the cool Regalscope sci-fi picture Kronos (1957). 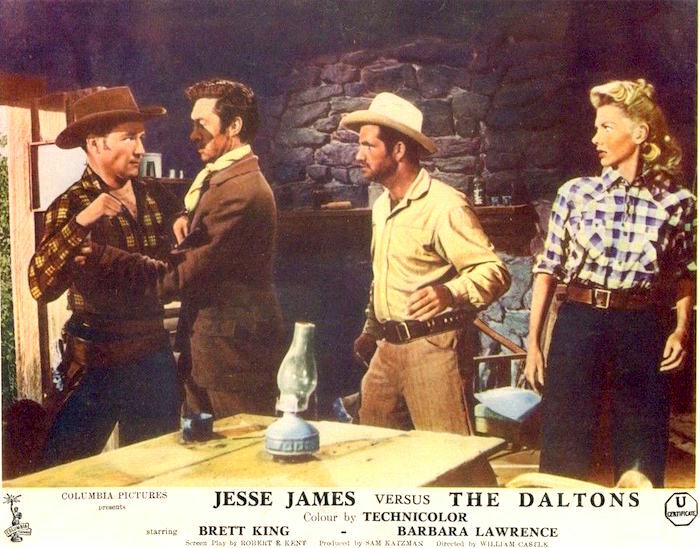 James H. Griffith plays one of the Daltons. 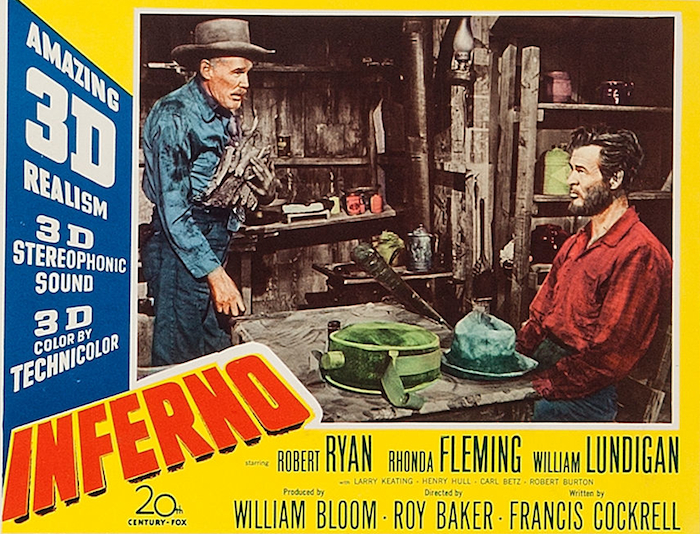 He’s always worth watching, and even though he gets third billing, his part isn’t all that big in this one. 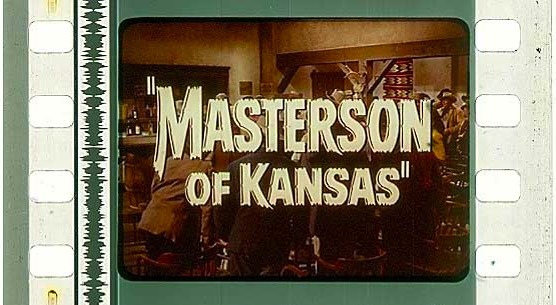 Castle would give him bigger, better parts in his next two Westerns: Masterson Of Kansas (1954, included in this set) and The Law Vs. Billy The Kid (1954). The rest of the set looks even better. 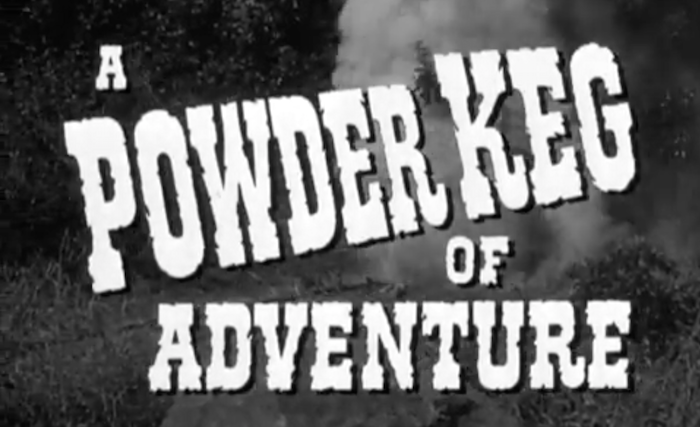 The real jewel is the black and white Uranium Boom (1956), which looks gorgeous. You’d almost think you were looking at a Blu-Ray. The Fastest Guns Of The West: The William Castle Western Collection is a terrific set, something many of us have been hoping for. As I see it, William Castle could do no wrong, and these movies are good, cheap fun — thanks to Mill Creek for giving us such a budget-friendly, storage-space friendly package. Highly, highly recommended. 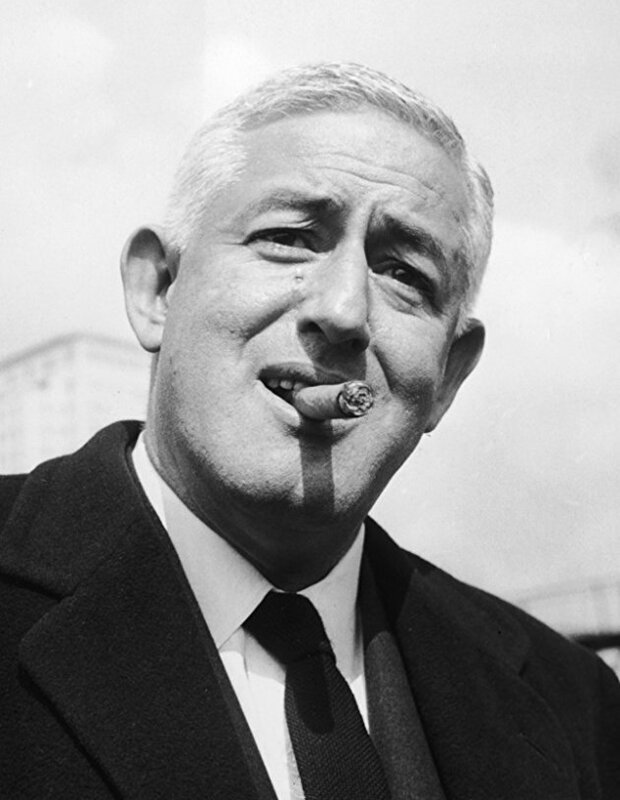 To the fine folks at Mill Creek: while you’re serving up William Castle, how about a set of the Whistler movies? 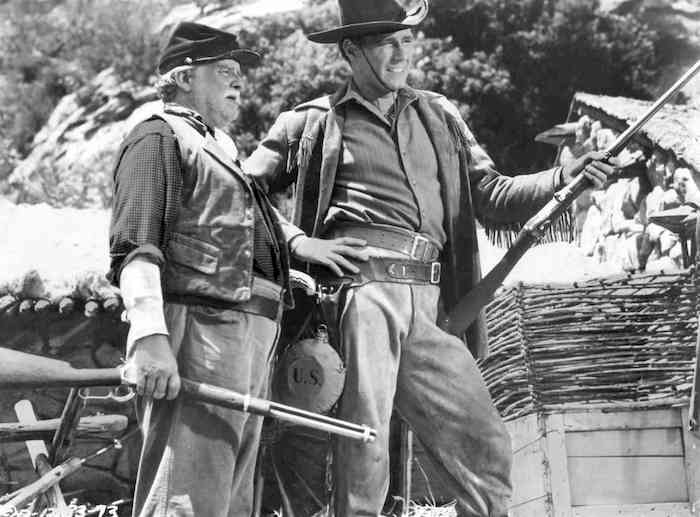 50s Westerns DVD News #260: The Fastest Guns Of The West – The William Castle Western Collection. I had to make sure this wasn’t April Fool’s Day — because a set of eight Westerns directed by William Castle (all but one produced by Sam Katzman!) sounds too good to be true. But here it is, coming from our friends at Mill Creek Entertainment. One of Castle’s first directing credits — it came out a year before the first of The Whistler series. 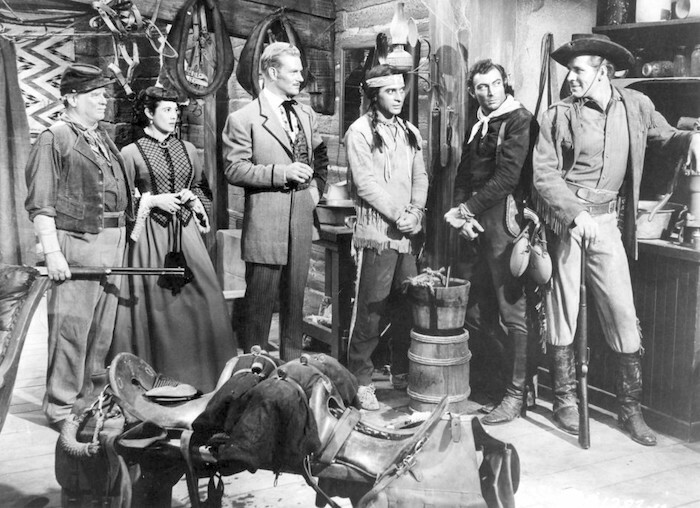 Stack and Page had already appeared together in Budd Boetticher’s Bullfighter And The Lady (1951). 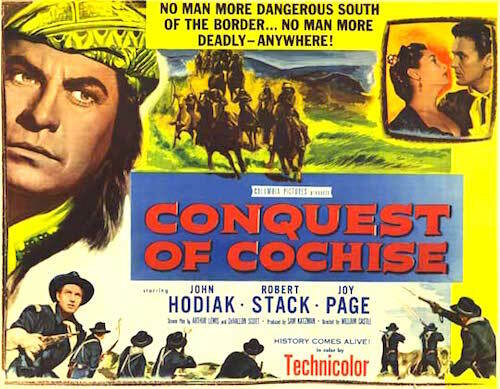 Hodiak makes a good Cochise. James Grifftih’s performance as Doc Holliday really elevates this one. This one was originally in 3-D and Technicolor. As you’d imagine, Castle throws everything he can think of at the camera. Katzman cast “all six winners of the National Indian Beauty Contest” in this picture. I wouldn’t be surprised if this contest didn’t exist before Katzman and Castle came along. 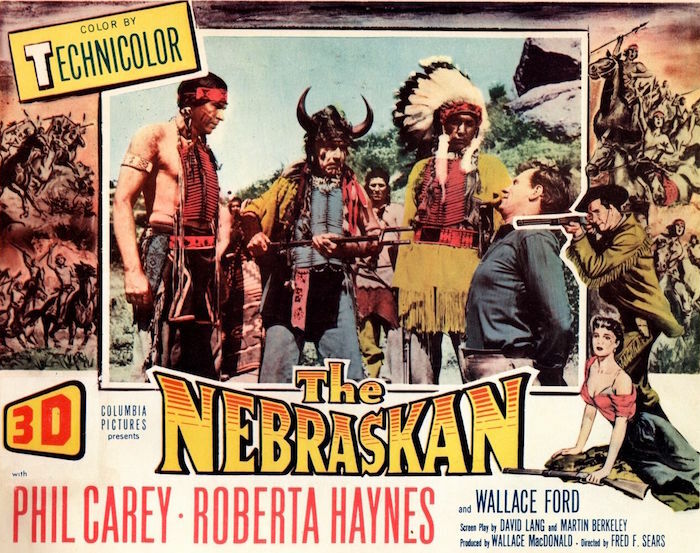 This tale of the US Cavalry taking on Chief Red Cloud makes good use of stock footage from Buffalo Bill (1944). 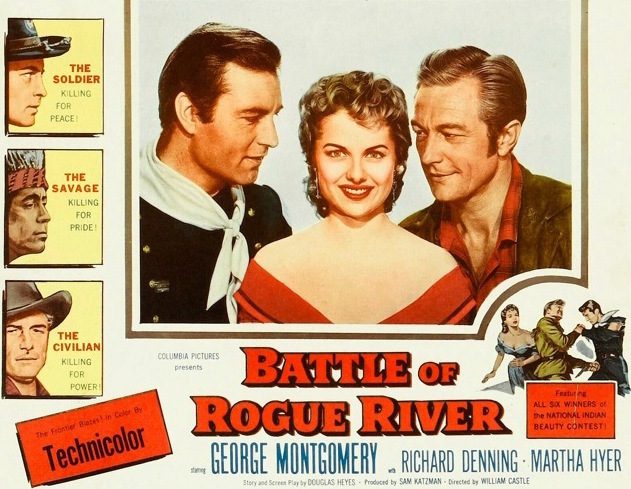 Not really a Western, but it’s got a solid Western cast doing the Louisiana river pirate thing. 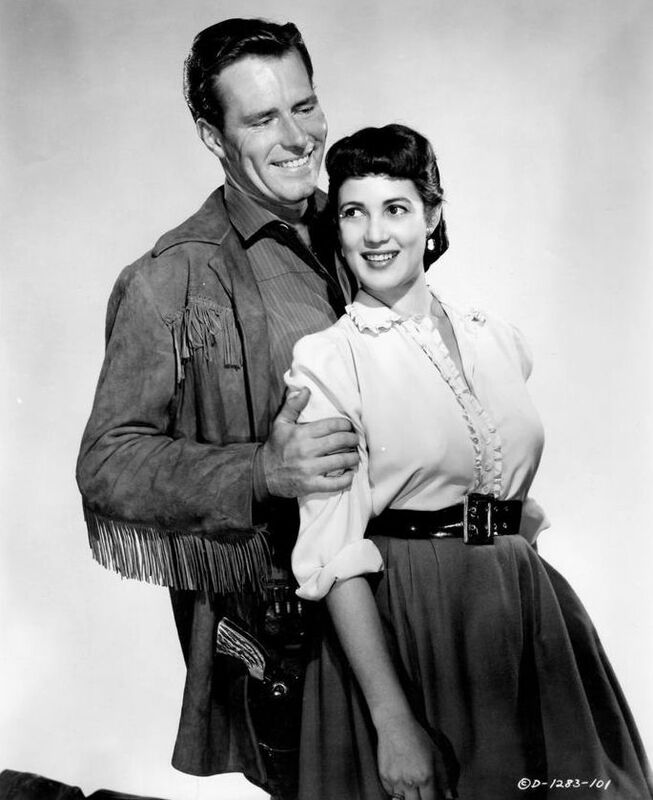 A modern-day Western with Dennis Morgan and William Talman fighting over their uranium mine — and the lovely Patricia Medina. Can’t tell you how excited I am about this set. Castle’s one of my favorite filmmakers, and I’ve got a real soft spot for these Castle-Katzman movies. Highly, highly recommended. Blu-Ray News #247: The Stranger Wore A Gun (1953). 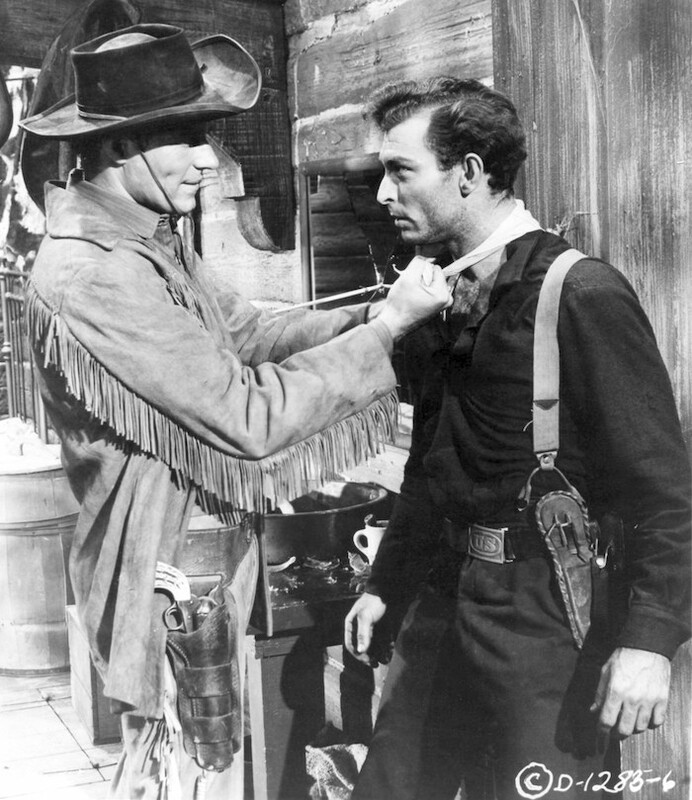 The Stranger Wore A Gun (1953), one of six Randolph Scott pictures directed by Andre de Toth, had all sorts of interesting technical things going for it — which makes the announcement that Explosive Media is bringing it to Blu-Ray in Germany something worth celebrating. 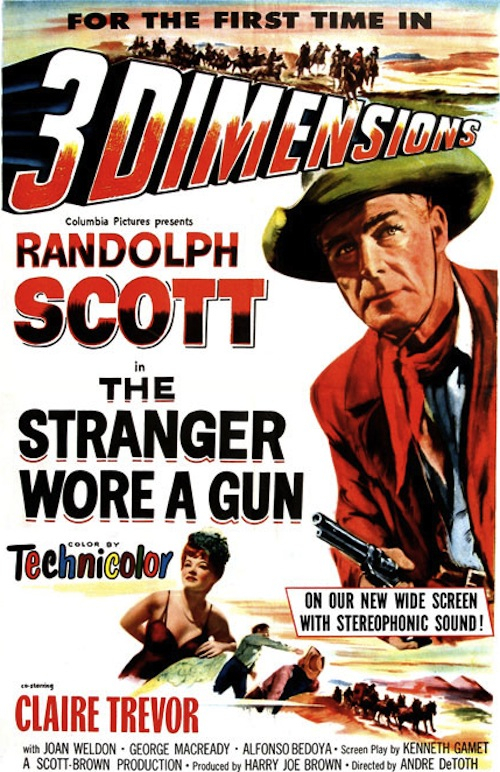 The one-sheet for The Stranger Wore A Gun bragged about it all: 3-Dimensions, wide screen and stereophonic sound. 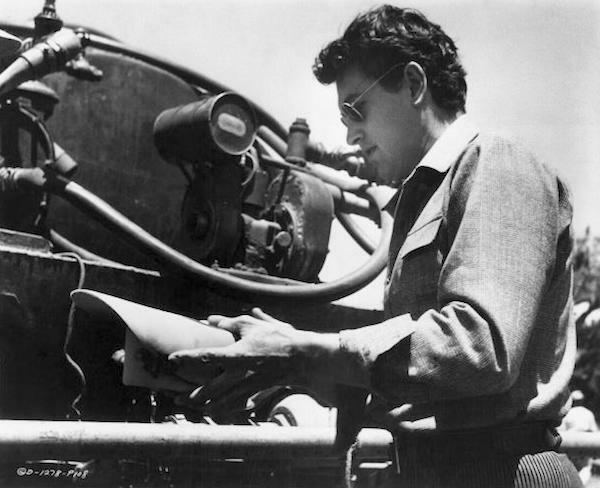 Andre de Toth was chosen to test-drive and fine tune a number of Hollywood’s technical developments of the 50s. 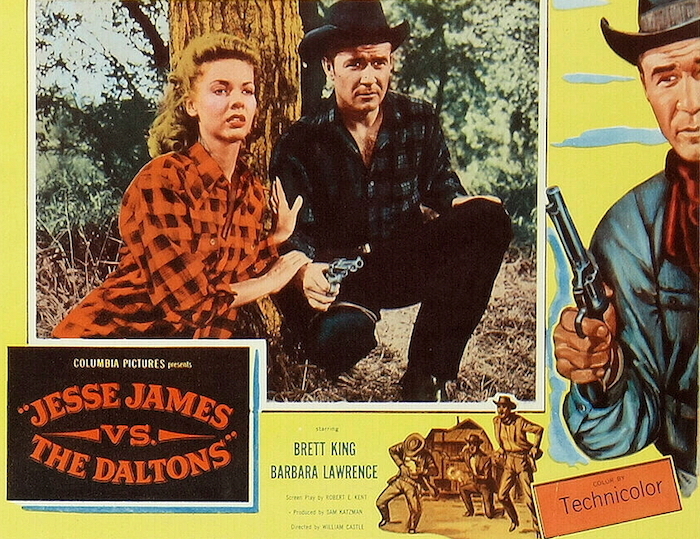 For instance, the second of the De Toth Scotts, Carson City (1952), was the first Warnercolor film. 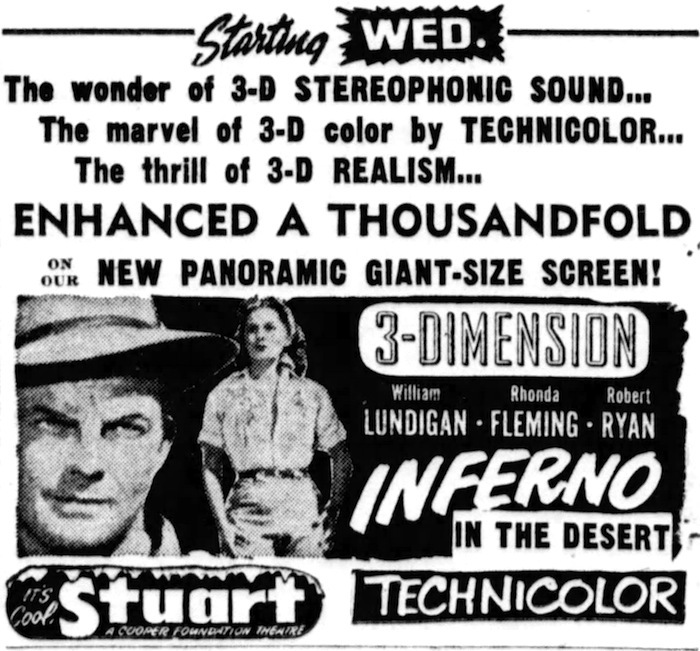 House Of Wax (1953), the first major-studio 3-D movie, was filmed in the Natural Vision 3-D format and Warnercolor, with the added bonus of stereophonic sound. 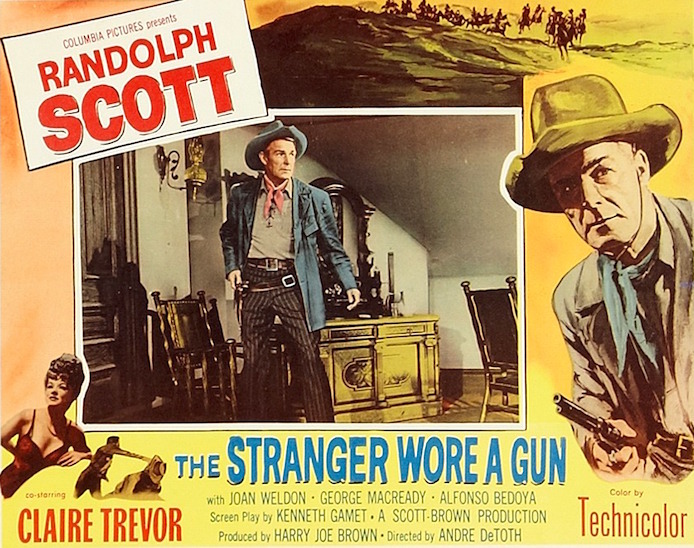 The Stranger Wore A Gun was the first film composed and shot to be projected at 1.85. This aspect ratio is still the standard, in use in theaters and on video today. This framing in, for me, the key benefit of this upcoming Blu-Ray, along with the high definition, of course. 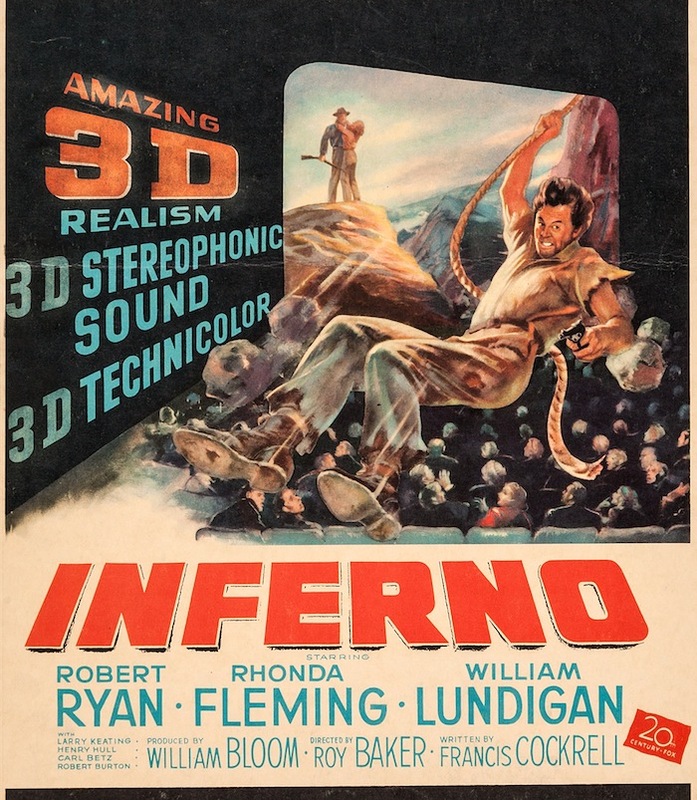 It will not be offered in 3-D, and sadly, the three-track stereo elements were lost years ago. This is not the best of the de Toth Scott movies, but it’s got Lee Marvin, Ernest Borgnine and Claire Trevor. And George Macready is totally despicable as the bad guy. Scott is so cool in the movies from this period, no matter how strong the movie around him is. Not sure what Explosive’s region policy is. I’m sure hoping The Stranger Wore A Gun is something we can all enjoy. Can’t wait. Thanks, John, for the tip. 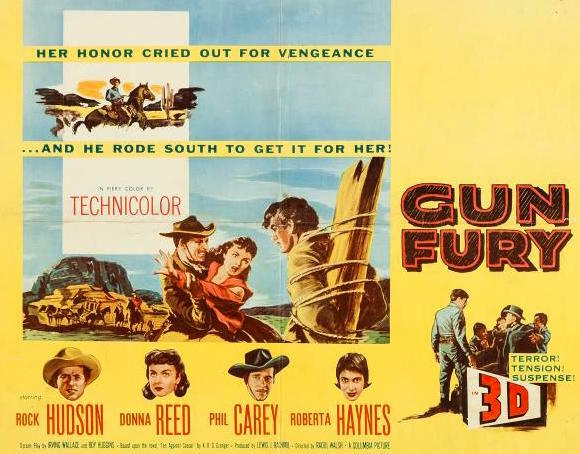 50s Westerns Blu-Ray News #232A: Gun Fury (1953) In 3-D.
UPDATE: The release date for this has been listed as September 19. Thanks for the news, Paula. 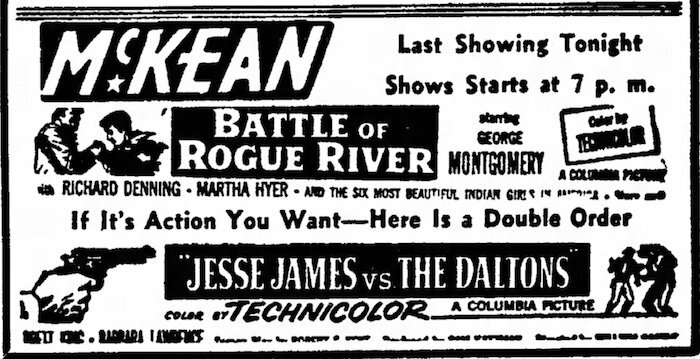 Raoul Walsh said he didn’t like CinemaScope, but was excited about 3-D. Funny, given that he only had one eye and couldn’t see depth. He’d end up using Scope a few times, but he’d go with 3-D just once, with 1953’s Gun Fury. 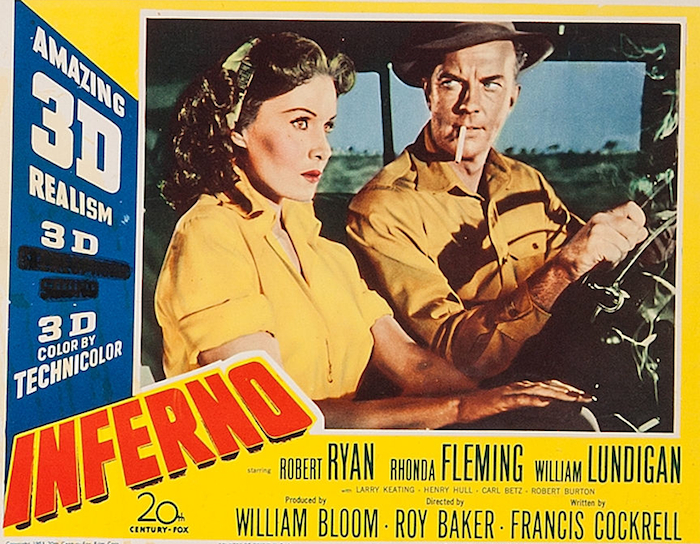 It’s a pretty simple chase/revenge story, as Rock Hudson goes after Phil Carey, who’s kidnapped Donna Reed. Of course, Walsh applies his typical speed and efficiency — and the picture moves like a rocket. Twilight Time has announced a 2-D/3-D Blu-Ray release of Gun Fury for 2017. Personally, I’m more excited about the proper framing than I am 3-D. This is a really solid picture.